Looking for something different to do for date night? Well, tonight is the night to grab your favorite person and step into our kitchen as we learn some delicious recipes perfectly suited for twosomes. 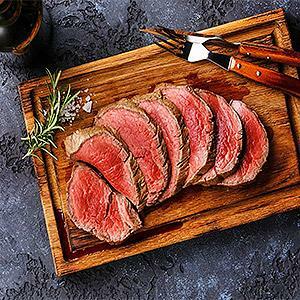 Join us for the consummate date night dinner of Chateaubriand for Two. We're talkin' fancy beef tenderloin people! And, hey, if you are going to spend your hard-earned money on high quality ingredients, you need to know how to cook it correctly, right? This interactive class is hands-on all the way as you and your special someone work in small groups and learn to cook tonight’s extraordinary meal alongside Chef Richard McPeake – graduate of The Culinary Institute of America, cookbook author and culinary instructor extraordinaire! Chef Richard is professional and passionate about sharing some of his favorite recipes including Chateaubriand for Two, a wonderful ‘starter’ with mushrooms and crabmeat, White Cheddar Potatoes, and an elegant roasted vegetable dish. For dessert, he will show us how to make his Award-Winning Chocolate Nut Gateau with Chocolate Ganache. What a menu! While you’re cooking, we’ll set the mood with candlelight ambiance, clinking wine glasses – all that romantic stuff. We’ll raise a glass of wine and toast to our success in the kitchen as we enjoy the fruits of our labor! Fri 7/26/19 6:30 - 9:00 p.m. The class fee for this Couples class is $85 per person. Please note that if registering for 2 people, you must select 2 seats on the Shopping Cart page. Thank you! Flavorful Weekend Nights™ is a trademark and service mark of The Culinary Center of Kansas City®.